Go from Big Data hype to Big Data insights. People love to talk about the potential of Big Data. But what’s the path to actually getting the answers that matter for your business? Who’s doing it―and how? 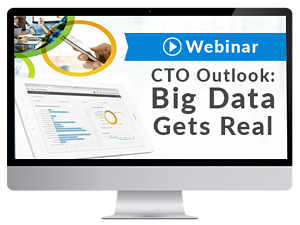 Check out the webinar to begin your journey toward a higher ROI on Big Data.